Bay window is a window space projecting outwards from the main walls of the building and forming a bay in the room. 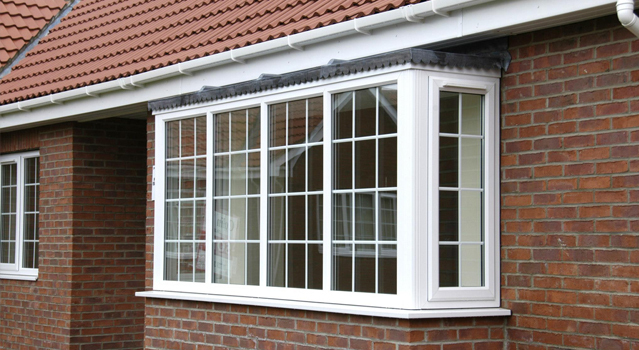 Bay window is a generic term for all protruding window constructions, regardless of whether they run over one or multiple storeys. If a bay window does not rise from the ground and is instead supported by a corbel, bracket or similar it is called an oriel window. All of our bay windows are constructed with fully welded cills and reinforced corner posts/mullions incorporating a structural jack mechanism. Prior to manufacture, all segmented bays are accurately surveyed using the latest laser technology and computer aided design software (see below), ensuring maximum/accuracy and performance from the finished product.